Cal Poly’s Student Leadership Institute is a two-day event focused on empowering students through providing educational experiences that support and challenge students to build and apply leadership skills to effect social change. The theme for is “This is What a Leader Looks Like” and we will be highlighting all types of leaders across campus with a focus on expanding the notion of leadership while helping each student see the leader they have inside them. 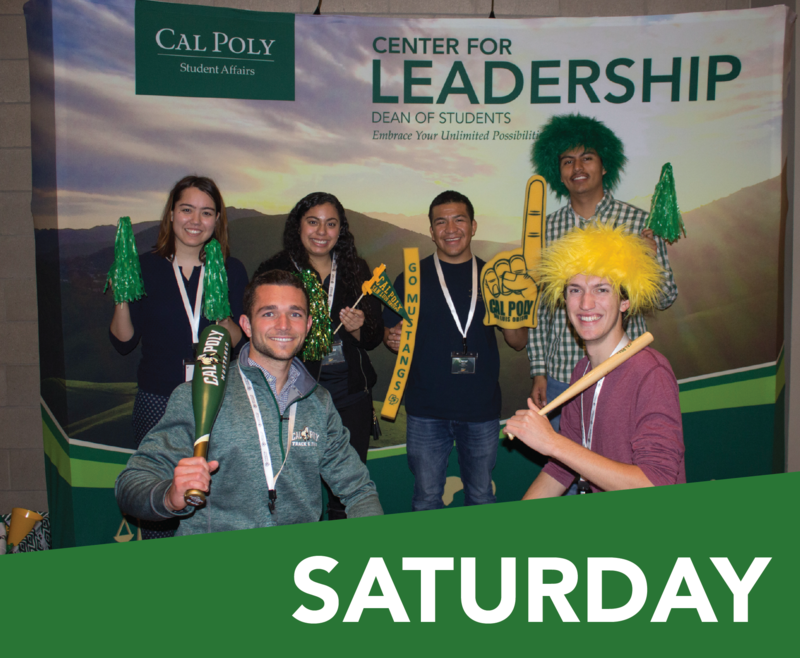 The Student Leadership Institute (SLI) is an open and free opportunity for all Cal Poly students to engage in leadership development opportunities and learn from and with their peers. Cal Poly’s Student Leadership Institute is made possible by collaborations with Cross Cultural Centers, Fraternity & Sorority Life, University Housing, New Student & Transition Programs, and the Center for Leadership. 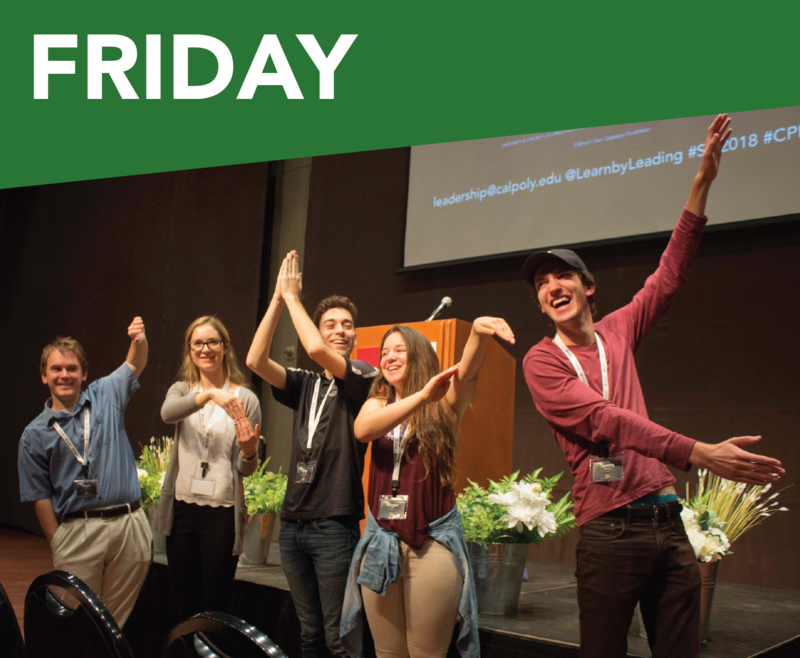 Friday, day one, of the Student Leadership Institute is an open access student leadership conference -- where faculty, staff, alumni, students, and community partners present on an array of leadership topics. Past topics include conflict management, identity development, inclusive language, teambuilding, mentorship, and more. Additional some breakout sessions are focused around sharing space and have discussion about leadership with individuals who share similar experiences, identities, or passions. Student are provided breakfast and lunch and will get to hear from an inspiring keynote speaker. The conference will allow emerging leaders to build essential skills while also allowing more engaged student leaders to network and develop skills to foster leadership in others. We want to challenge and inspire students with engaging sessions. Saturday, day two, of the Student Leadership Institute is an application-only student leaders retreat. Students from across campus will come together to tackle issues around campus climate. Students are provided breakfast and lunch and get the opportunity to learn from diversity leaders on campus. Students collaborate in small groups during the day to create and then present action plans. Saturday is an all day event. Once you've applied for Saturday you will receive additional scheduling information.